With an increase proportion of technology we are providing a qualitative assortment of Pneumatic Strapping Tool. The offered Strapping Tool is smoothly developed in our highly updated manufacturing unit by consuming finest quality basic material and leading technology in accordance with universal accepted standards under the supervision of our quality expert person. In addition, patrons can avail these strapping tools from us at very suitable rate. 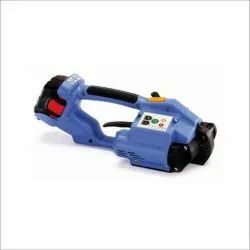 we are offering our patrons a wide range of Battery operated PET Battery Operated Strapping Tool. 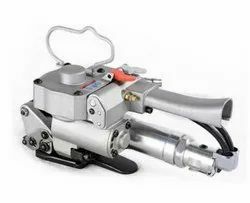 The offered strapping tool is specifically designed by using of top-notch components and extremely up to date machinery in compliance to market quality standards. This strapping tool is generally in the market for its exclusive quality. Moreover, we are presenting this automatic strapping tool in numerous correlated specifications at market leading rate.